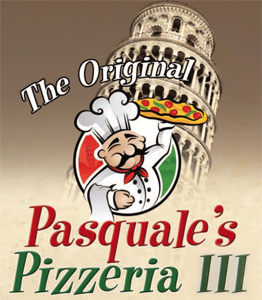 Online ordering menu for Pasquale's Pizzeria III (MIDDLETOWN). Welcome to Pasquale's Pizza III! From the moment you walk in, your choices are unlimited! From our fresh handmade gourmet and specialty pizzas, to our authentic Italian cuisine--we have it all! How about a light salad, a plate of mussels, or calamari to start with? Whatever you decide, you will leave thinking everything is so delicious. Our success comes from generations of time-tested recipes, passed down from father to sons, to give you an AUTHENTIC Italian experience. We offer special catering for your large parties. From 6 foot subs to delicious platters of hot Italian cuisine, we have you covered! We only serve the finest and freshest ingredients to make your dining experience one to remember.